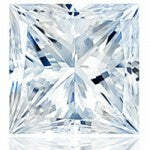 At deBebians we offer 10 different diamond shapes for the center stones in our engagement ring settings. Everyone tends to have a preference for one over another, but did you know that the shape that you take a shine to can reveal something about your personality? 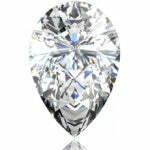 The round is the most classic and traditional shape as it is commonly thought of as the ideal cut for a diamond. 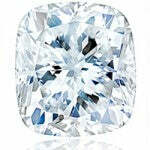 It is generally the most sought after and gives off the most luminous sparkle of all the diamond shapes. Those that go for the round tend to be more traditionally minded, honest, and faithful. Its round shape also complements the play on circles with the engagement ring setting as circular shapes in jewelry embody eternal, endless love. A princess cut diamond shape is one that contains more of the diamond rough than the round as the corners are kept in tact. The faceting around the sides of the stone give the stone much of its sparkle like a ornamented frame around a royal portrait. Like real life princesses, ladies who favor the princess cut tend to be the type to enjoy life and set the style trends in their respective kingdoms. 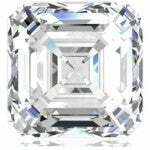 A woman who fancies the emerald cut is the sort who is straightforward and exudes inner confidence and this is displayed through the windowed faceting of the emerald shape. 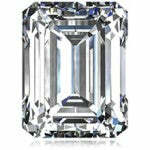 Because the emerald cut allows you to see through the stone, it is easier to see inclusions in the diamond. As a result, a diamond would have to literally have nothing to hide in order to be an excellent quality emerald diamond shape the same as a confident woman would have faith in herself and nothing to hide. Ladies who enjoy an oval cut stone are reliable people like those who love the traditional round cut, but also like to be a little spontaneous and let loose every once in awhile. Much of the brilliant sparkle from a round is kept in an oval, but the elongated shape gives a small, distinct twist of personality that shows a woman who isn’t afraid to think outside the box every now and then. The cushion diamond shape is one that actually combines the old vintage appeal of an old mine cut with the modern appeal of sparkle and effulgence in a stone. 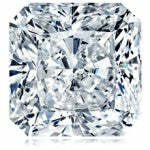 In a similar square-ish shape as a princess cut, women who enjoy this cut have a similar adventurous and daring spirit, but the pillow-y rounded aspects of the stone also display a sense of stability and a more grounded nature like those who favor the round. Women who go for the asscher diamond shape are pretty similar to those who enjoy the appeal of an emerald cut in that the clarity of the stone because of the windowed faceting effect reveals a personality that is confident and forthright, but an asscher shaped stone also expresses a bit more depth. 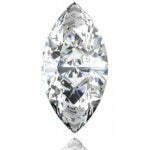 It is also a stone where meticulous care was given into making its step cuts just so and was originally designed specifically for royalty making it a suitable stone for someone who embodies a royal air and is just as much conscientiously careful perfectionist as the diamond cutter who gave the stone its shape. A radiant diamond shape is one that combines the resplendent qualities of a princess cut diamond with the outer shape and corners of an emerald stone. This means that the enthusiasts of the radiant cut take on some of the trendsetting and fun-loving traits of the fans of the princess, but at the same time, the unique combination also shows aspects of an intrepid and spunky nature. 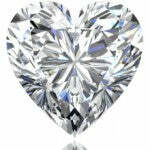 As the heart shape is generally understood to be the universal symbol of love, it is no surprise that the corresponding diamond shape tends to be favored by those who are hopeless romantics. Ladies who have the heart shape as their favorite tend to be infatuated with love itself and dream of that fairytale romance. They are the type that look out for their prince charming and dream of their big day. While this may be a little naive, their childlike approach to romance can be refreshing and charming. The marquise cut is said according to legend to be made and named for Louis XV of France’s famed mistress Jeanne Antoinette Poisson also known as Madame de Pompadour who held the title of Marquise of Pompadour. She was probably the most loved and famous of the French king’s mistresses and did much to enhance the opulent lifestyle of the court at Versailles although originally from a more humble background herself. 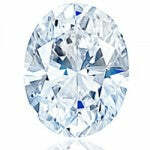 With such a colorful story associated with this diamond shape, it is no surprise that women who fancy this sort of stone tend to be focused on creating impressions just as Madame de Pompadour had an image to keep up at court. This isn’t necessarily a negative trait, as the Marquise herself was a charming woman like no other who was a patron of the arts and literature and kept a salon that was attended by innovative philosophers like Voltaire. As such, women who enjoy this diamond shape tend to enjoy creativity and experimentation, and are also incredibly goal-oriented. A woman who springs for a pear tends to be a person who may have a foundation in traditional values, but is also a person who enjoys being unique and different from everyone else. 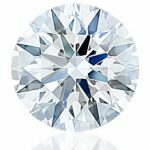 It is a shape that embodies aesthetics from both a round diamond shape and a marquise, which ends up being a combination that creates an all-or-nothing perfectionist nature. Ladies that favor the pear want the best and sometimes extravagant things in life like those who adore the marquise, but also desire humble stability, honesty, and faithfulness like those who love the round. While not an impossible endeavor, these ideas are at times at odds with each other since lovers of the pear are essentially people who just want it all with a peaceful home and adventurous social and work life. Each of these diamond shapes paints an elaborate picture of who you are that helps to illuminate the traits of your character through your jewelry. As such, all of our engagement ring settings can be modified to fit any of these shapes.